I am currently binging on so much stuff when it comes to Neflix. A week ago I finished Season 3 of House of Cards, before that I finished Marvel's Daredevil and right now I am quickly going through Grace and Frankie. I'm also in the middle of a few other shows, these are shows that I go back to in between binge sessions of full series watching. One of those shows is the amazing Luther, with that hunk of man Idris Elba. A few months ago I fell in love with his acting when I watched the entire season of The Wire on my HBO app and I think he's such a great actor. I love my Netflix app and I love that I have been able to watch so many great shows in recent months because I almost never watch tv. So my Netflix, HBO and Showtime apps are my saviors. This is one of the best shows I have seen in a long time, and I love the two leading ladies. Which one am I more like. I'm pretty sure that I am a lot more like Frankie than Grace and I think that's a good thing fo sure. The Wire, the best series I have EVER seen! Chicklit at it's finest, this is a really cute little book, quite funny and though I am only at the beginning I am enjoying it immensely. I have a ton of chicklit titles on my Kindle and don't know why I haven't read more of them...oh yeah because I spend my time on social media. Need to read more! 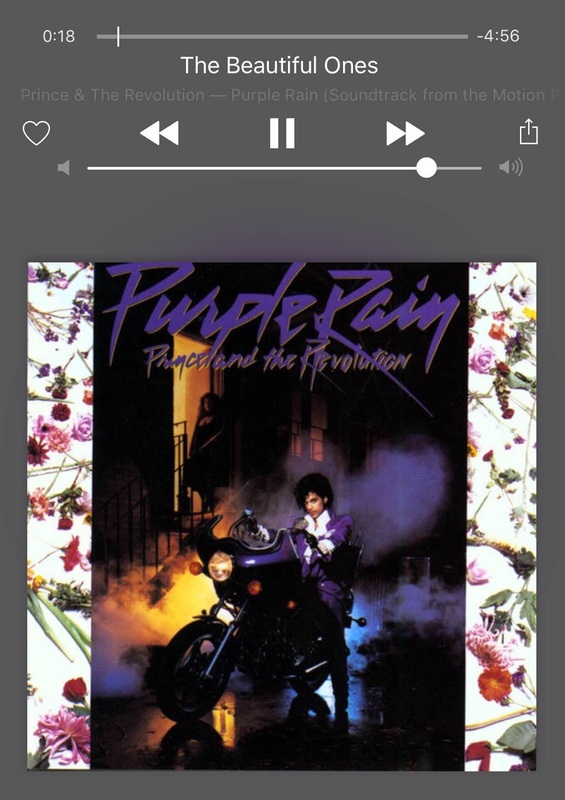 Purple Rain of course has taken the #1 spot anytime that I want to listen to some musica. I can put it on over and over again as I work and I never get tired of listening to any of the songs. Other favorites on my iTunes list is a lot of Hawaiian music, some Dean Martin, 80's rap and Gypsi Kings. I have a very eclectic taste in music and when I love something, I really love it. Million Dollar Listing NY is a favorite of mine. I am a fan of the entire franchise but the NYC guys have to be my favorite. I don't always catch the show but I do watch for reruns to catch up. Game of Thrones is a must on Sunday nights though I watch it on my app and not on the tv. I think that's it, I don't have a lot of time for television honestly. Politics? Though it's not really gossip but anger. Anger at all of the crap that is happening during this election and how many people are such "proud" Trump supporters. The man is an idiot and just talks out of his arse so I have no idea how anyone can stand behind him, but whatever. And that would be all for me today. I don't get a lot of time off but those few precious moments that I can give to my movie and series apps or my books, those are awesome moments. What are you currently loving, watching, reading or gossiping about?